Our glam squad will have you red carpet ready with their expert beauty styling techniques. *Prices may vary due to a wide range of determining factors prior to the application of color. Details such as style, methods, amount of product used and characteristics of an individual’s hair all serve as contributing factors. We are now proud to offer premium hair extensions for wonderful long hair. As a certified Great Lengths location, we are able to provide incredibly healthy hair extensions that are totally ethical and traceable and in a wide range of rich and vibrant colors. To schedule your free consultation please give us a call to meet with our master stylist. Penetrates deep into the pores of the hair leaving it soft and shiny. This is a unique treatment for quick, semi-permanent de-frizzing in only 60 minutes. Results last up to six weeks. This ultra smoothing treatment penetrates deep into the hair cuticle reducing frizz and curl leaving your hair healthier, smoother while reversing damage while blocking the effects of humidity. 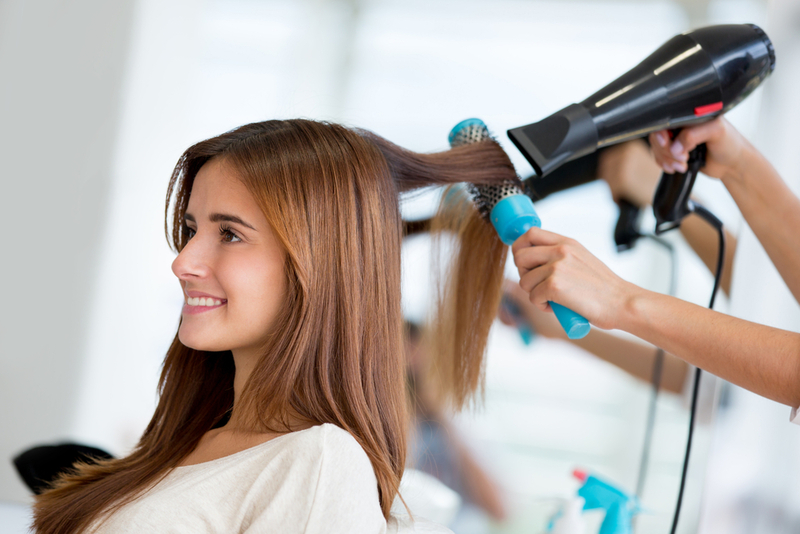 This treatment allows for a much easier blow dry, cutting your styling time in half. Results last up to 5 months. This stress relieving scalp massage will give you immediate relaxation as it stimulates hair growth and hydrates the scalp. Scalp massages are one of the best ways to relieve stress. This treatment stimulates your nerves and blood vessels which calms tension in your neck and scalp while the hot oil heals dry, damaged or processed hair leaving it soft, silky and shiny. This therapy is very effective in treating thinning or slow growing hair. High frequency electrical current infuses the skin with rejuvenating oxygen molecules. A therapeutic zapping or tingling sensation will be experienced. This treatment gently exfoliates the scalp, promotes local blood circulation, stimulates local glandular activity, supplies heat to the area, which is soothing to the nervous system and significantly improves the scalp’s receptiveness to hair growth formulas.